Environmental engineering as it relates to the development of technologies to produce clean water by treating contaminated water. USCIS approved a petition for a research scientist working in the field of environmental engineering with an emphasis on the development of technologies to produce clean water by treating contaminated water with the most efficient and economical methods. The NIW petition proved that the scientist’s research targets important fundamental questions in the field of water treatment, especially desalination and reverse osmosis membranes, and showed that synergy from quantitative engineering principles and rigorous microbial analysis will lead to a better understanding of nature and new discoveries that will help improve the quality of the environment. Environmental engineering related to water resources, watershed science and water quality modeling. USCIS approved a petition for an Assistant Professional Scientist working in the field of water resources and specifically in the area of watershed science and water quality modeling. She researches the relationship between water quality and the management of complex human-environment interactions. The NIW petition recognized her expertise in developing water quality models by using state of the art science to address real concerns of communities and the public. The beneficiary’s I-140 petition and I-485 Adjustment of Status applications were approved in 247 days. Research involves the use of geosynthetics for supporting slopes and embankments in transportation infrastructure. USCIS approved a petition for a Geotechnical Engineer whose studies have enabled and expanded the use of geosynthetics in the transportation industry and focus on monitoring the performance of slopes to ensure proper construction and stability of the structure under service loads. This work is vital because it is an innovation for helping reduce construction time and cost as it enables more efficient utilization of common and available equipment and materials. Aero-optics research to assist in the design of optical communication systems and directed energy weapon systems. USCIS approved a petition for a Research Assistant Professor working in the field of Aero-optics, which are optical distortions created by high-speed air flows. These distortions can severely reduce the transmitted power of laser beams. This research is of particular interest to designers of optical communication systems and directed energy weapon systems. The NIW petition recognized the beneficiary’s expertise in developing illumination sources for in-flight measurement of aero-optic flows using laser-induced breakdown sparks is an important contribution to the Air Force’s overall effort to develop airborne directed-energy weapons. The beneficiary’s I-140 petition and I-485 Adjustment of Status applications were approved in 206 days. Works in the fields of materials science, materials physics of complex metal oxides, and energy. USCIS approved a petition for a Senior Scientist whose research targets important and fundamental questions in the area of thin film growth and the physics of functional metal oxide materials. This scientist’s development of new materials and processes has resulted in two registered U.S. patents, two receipted and pending provisional patents, and three patent submissions. Reliability engineering specifically related to the cyber security of critical infrastructures. Petitioner’s research is focused on the detection of adverse attacks against critical power grid infrastructures. He identifies malicious behavior in Advanced Metering Infrastructure (AMI). AMI is a set of communication networks utilized by utility companies to connect millions of smart meters. Petitioner has been able to diagnose problems arising in the detection of misbehaviors in power grid security maintenance and strengthen the system against terrorist acts aimed at the control networks. He is responsible for the development of the first comprehensive threat model for AMI as well as a complete specification-based intrusion detection system. Petitioner is currently working on a project aimed at security breaches in user accounts in academic and corporate IT environments. He has developed an innovative and highly accurate technique combining machine learning techniques and domain knowledge (i.e. Gee-locating Internet Protocol Addresses). This NIW petitioner continues to conduct research on intrusion detection, automated response action, security state estimation, and bad-data detection algorithm and he is currently the Principal Investigator for two Electric Power Research Institute (EPRI) contracts on intrusion detection systems for advanced metering infrastructure. Trajectory optimization and missile defense. USCIS approved a petition for an aerospace engineer. The beneficiary is an aerospace and aeronautical engineering researcher specializing in the field of trajectory optimization. The beneficiary received a Ph.D. in aerospace and astronautical engineering. The space propulsion and defense industry’s requirements for trajectory optimization has driven researchers to search for better technologies that benefit processors and smaller computers has driven researchers to search for new technologies. National Interest evidence showed that the beneficiary’s research has had a substantial impact on the space propulsion industry, and, in particular a decisive influence on NASA projects. The National Interest Waiver petition showed that the beneficiary’s research in trajectory optimization is important for the future success of space exploration and missile defense in the United States. Furthermore, the petition showed that the significance of the beneficiary’s research is even more pertinent during this current period of renewed national interest to return to the moon and establish a permanent staging point for trips to Mars as proposed by the Federal government. The beneficiary’s I-140 petition was approved in 31 days. Civil and environmental engineering exploring sediment transport in coastal shelves. USCIS approved a petition for a computational water resources engineer studying in the field of water resources engineering and environmental fluid mechanics and specifically in the area of sediment transport in the coastal shelf. The NIW petition recognized the scientist’s role in addressing the complex problem of sediment scour and burial of sea-bed mines. The research and technologies that he is working on are critical to U.S. research efforts in the area of national security in protecting our military against ocean mines. The beneficiary’s I-140 petition was approved in 172 days. Process development and value addition for the biofuels industry. USCIS approved a petition for a process engineer working in the field of biofuels, biotechnology and process development. The engineer’s research focuses on the scale-up of the process for producing advanced fuels such as butanol and acetone from agricultural by-products such as starch and cellulose. The NIW petition proved that the engineer’s current research efforts are part of a larger national research effort towards finding a solution for the fuel and energy challenge which is endangering the US economy and national security. This research is particularly vital to the U.S. current and future energy security, as well as environmental and economic well-being. It is worth noting that this is not a challenge unique to the United States, but rather a global challenge. Thermal science as it relates to refrigeration, air conditioning and fixed-area expansion devices. USCIS approved a petition for this researcher who focuses on ways to better improve and modify components of the refrigeration system to harmonize the operation of simpler, less expensive components. This researcher and co-workers are working to develop the next generation of environmentally friendly and energy-efficient refrigeration systems. The research is focused on ways to better improve and modify other components of the refrigeration system to harmonize the operation of simpler, less expensive components. The beneficiary’s I-140 petition was approved in 69 days. Energy engineering specializing in energy efficiency, energy modeling, efficiency improvement and energy management for remote communities. USCIS approved a petition for a resource efficiency manager who works in the field of energy engineering specializing in energy efficiency, whose research focuses on energy modeling, efficiency improvement and energy management for remote communities towards the greater national goal of energy conservation, reducing greenhouse gases and making better use of our natural resources. The NIW petition showed that this research will be instrumental in saving citizens, businesses and the government money in energy costs, making the best use of natural resources, and reducing greenhouse emissions. Electrical engineering related to the use of digital design optimization techniques and the multi-match packet classification engine to achieve significantly high computer networking throughputs while minimizing power consumption. The use of digital design optimization techniques and, the multi-match packet classification engine to achieve significantly high computer networking throughputs while minimizing power consumption is the basis of this study. This research involves the design of optimized matching circuits and behavior analysis engines at a system level that has offered great contributions in the area of network intrusion detection. This researcher has extended the ideas of abnormality detection to biomedical applications such as heart beats to identify irregularities in cardiac behavior, receiving great attention for automation in bio-related fields such as clinical and telemedicine applications, which has a significant impact on health-care, contributing to the well-being of human lives. The importance of this research is that it will benefit the design and implementation of network intrusion detection systems both in terms of high performance including throughput and accuracy, as well as hardware resources and power efficiency. It not only detects abnormalities such as existing worm and viruses, but also detects new and previously unknown worm outbreaks. The beneficiary’s I-140 petition was approved in 103 days. Signal processing methods research used to find ways to incorporate micro sensors in civil infrastructure that are capable of on-demand performance monitoring. USCIS approved a National Interest Waiver petition for an engineer working with signal processing methods research, trying to find innovative ways to incorporate micro sensors in civil infrastructure that are capable of on-demand performance monitoring. This petitioner’s research encompasses the use of innovative methods to analyze spectral data that are produced by sensors that monitor the structural health of civil infrastructure. The NIW petition recognized petitioner’s research focusing on using Empirical Mode Decomposition and Hilbert-Huang transform to analyze time series data and his work to find innovative ways to incorporate micro sensors in civil infrastructure that are capable of on-demand performance monitoring. Petitioner’s work will help make civil infrastructure much safer and more reliable. Electrical engineering focusing on semiconductors and nanowire optics. USCIS approved a National Interest Waiver petition for an electrical engineer currently focusing on semiconductors and nanowire optics. This petitioner has devoted a large portion of his studies to investigating the absorption of nanowires. This is important parameter which determines the functional efficiencies of solar cells and light emitting diodes, which are considered the next generation of light and energy sources. The NIW petition recognized petitioner’s focus on the studies of single CdSe quantum dots, RG6 and terrylene molecules using an apertureless near-field scanning optical microscopy. For the first time in the world the scientist was able to improve the optical resolution achieved on fluorophores to ~25 nm FWHM and detected ~10 times enhancement of emission induced by sharp Si probes. Electrical and computer engineering and the related specialties of signal processing, parameter estimation, artificial intelligence, and data mining. USCIS approved a National Interest Waiver petition for a research scientist working in the highly complex and sophisticated field of Electrical and Computer Engineering and the related specialties of signal processing, parameter estimation, artificial intelligence, and data mining. The research has focused on the design and analysis of signals and the systems which generate these signals, in particular creating mathematical models that analyze signals, systems, and structures to generate important discoveries in various fields. The NIW petition recognized petitioner’s work in the field of cardiac electrophysiology and heart disease identification focusing on diagnosing critical heart diseases such as myocardial ischemia and myocardial infarction. Petitioner’s outstanding acumen in his field has resulted in significant scientific developments in predicting motor and permanent magnet generator failure, and mathematically modeling consumer behavior and predicting demand. Electrical engineering related to telecommunication networks for improvements to antennas, electromagnets, optics and femtocells. USCIS approved a National Interest Waiver petition for a senior engineer working with telecommunication networks as they relate to improvements on antennas, electromagnets, optics and femtocells. The research has had a substantial impact on the overall understanding of new advancements in telecommunication and wireless technology. The NIW petition recognized petitioner’s expertise and interest in metamaterials and optical devices that are at the forefront of telecommunications technology and are crucial to overcoming various engineering obstacles. In particular, research into metamaterials and its application in antenna miniaturization and high-resolution imaging as well as optical nanoparticle antennas that have made critical advancements. Smart structures and the related specialties of morphing aircraft and morphing rotor blades. USCIS approved a National Interest Waiver petition for a postdoctoral scholar working in the field of smart structures and the related specialties of morphing aircraft and morphing rotor blades. Petitioner is a leading and internationally recognized scholar within the field of aerospace engineering and has contributed groundbreaking, innovative research. Petitioner’s research contributions have led to the improvement and advancement of techniques in the areas of morphing aircraft and smart structures in the United States and globally. The NIW petition articulated that petitioner’s research targets important and fundamental questions in the field of morphing and smart structures including the integration of innovative materials in novel structural designs to achieve so-called intelligent structures capable of both bearing loads while changing configuration or shape upon the sensing of external stimuli. His research has produced several international publications and resulted in the award of E.U. and U.S. patents for a novel actuator and flap assembly for aeronautical use. Civil engineering emphasizing transportation systems engineering as it relates to highway safety and traffic operations. USCIS approved a NIW petition for a postdoctoral research associate working in the field of civil engineering. Petitioner’s research focuses on data analyses and the application of statistical methods to improve highway safety. 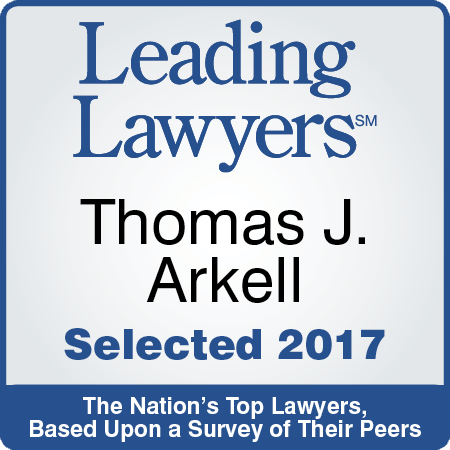 In particular, petitioner has developed and mastered highly sophisticated experimental techniques in traffic microsimulation and traffic detection technologies. The projects that petitioner is working on, at one of the pioneer centers in the United States for studying transportation systems engineering, are at the forefront of this field. Petitioner demonstrated exceptional skill in the use of advanced statistical modeling combined with a deep knowledge in the use of traffic simulation modeling and traffic detection technologies of which only a handful of researchers worldwide have competency at his skill level. This unique combination of skill sets enabled petitioner to perform in-depth analytical consideration of significant highway safety countermeasures such as advance warning systems at signalized intersections. Radar meteorology and microwave engineering emphasizing polarimetric phased array antennas. This petitioner works in the highly complex and sophisticated field of radar meteorology and microwave engineering and specifically in the area of polarimetric phased array antennas. Petitioner designed a data collection experiment for the specific purpose of enhancing the azimuth resolution of weather radars using Aperture Synthesis with ground-based weather radars. The practical applications of this work resulted in enhanced detection and localization of aircraft and other man-made objects by means of mechanical scanning, ground-based radars, and applicability especially to Air-Traffic Control (ATC) radar. In addition, petitioner initiated the concept design of airship-borne radar for maritime surveillance and tsunami early-warning. The NIW petition recognizes that petitioner has developed unique approaches in polarimetric signal processing aimed at the mitigation of the bias in polarimetric variables due to antenna cross-channel coupling, with profound implications for some of the most complex aspects of antenna design which is relevant for the development of next generation phased array antennas. These innovative structures have been investigated by the international community over the last few decades because of their potential to improve aircraft performance and efficiency, both at the military and civil levels. This has the potential to benefit the weather surveillance industry, including the military and the commercial air industry in the United States and ultimately to improve the U.S. economy. Mechanical engineering as it relates to thermal sciences and refrigeration. 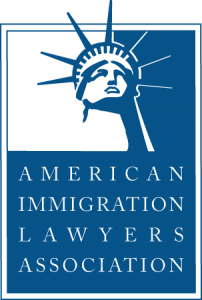 USCIS recently approved an NIW petition for a researcher working in the field of mechanical engineering, specifically in the area of thermal sciences and refrigeration. The petitioner has a specific record of prior achievement and has directly influenced the field as a whole through his ground-breaking discoveries and the innovative new processes he has developed. The NIW petition recognizes that the petitioner significantly advanced the technology of utilizing carbon dioxide as a refrigerant in place of HCFC’s and HFC’s. HCFC’s and HFC’s are man-made coolants that have been categorized as greenhouse gases and have been shown to cause significant harm to the environment, specifically contributing to global warming. Petitioner created a new technology for the use of carbon dioxide as a refrigerant by utilizing a capillary tube as an expansion device along with conventional heat exchangers. Electrical engineer researching cochlear implants, specifically in the area of speech dereverberation for cochlear implant users. USCIS approved an NIW petition for an electrical engineer working in the field of cochlear implants whose research is mainly focused on applying techniques to suppress reverberation in order to improve the intelligibility and quality of the reverberant speech. The petitioner’s research involves enhancement algorithms that can be used in cochlear implants, hearing aids and automatic speech recognition systems. The petition recognized that mitigating reverberation effects for cochlear implants is one of the biggest opportunities to make progress in the cochlear implant research field. The petitioner’s research is used to benefit the hearing-impaired listeners in the most challenging environments where their devices fail to perform efficiently because of reverberation and additive noise. Robotics and control of dynamical systems. USCIS approved an NIW petition for an Electrical Engineer working at a technology solutions company. The petitioner’s particular interests are in robotics and control of dynamical systems. The petitioner’s research is focused on the design of robust distributed and decentralized control algorithms for networked dynamical systems. These algorithms are directly applied to multi-robot formation control, satellite formation, and other cooperative control. Robotic systems are used in a vast range of practical applications, ranging from welding machines to material handling to biomedical applications. Additionally, during his time in a university research lab he oversaw the success of several projects, including multi-agent robotic formations, and voice-control wheelchair for the physically impaired. The beneficiary’s I-140 petition was approved in 20 days. Chemical engineering, chemistry, and non-equilibrium thermodynamics. USCIS approved an NIW petition for a Postdoctoral Fellow working in a Department of Energy research center at a renowned university. The petitioner’s research is focused on the areas of chemical engineering, chemistry and non-equilibrium thermodynamics. The petition highlighted the petitioner’s work pertaining to discontinuous and continuous molecular simulations and hydrogen-bonding fluids. Applications of his work include polymer solutions, asphaltenes, acidic molecules, and ionic liquids, all of which are relevant to industrial and pharmaceutical applications. The petitioner’s research also includes simulations and theoretical modeling of carboxylic acids, polar and complex organic compounds, polymers and polymer solutions. The beneficiary’s I-140 petition was approved in 53 days. Rehabilitation engineering and assistive technology, specifically in the area of medical robotics. USCIS approved an NIW petition for an Assistant Project Scientist working in the field of medical robotics focusing on stroke rehabilitation at the medical school of a public research university. The NIW petition focused on the petitioner’s work proposing and developing an Augmented Reality (AR) setup for stroke rehabilitation, which has been able to show the promising potential of AR in physical rehabilitation setup. AR enables stroke patients to experience more motivating and entertaining exercises. AR technology has the capability of creating an interactive, motivating environment in which practice intensity and feedback can be manipulated to create individualized treatments to retrain movement. The petitioner also successfully developed a device for measuring the stiffness rehabilitation of patients’ arms. Electronic engineering, specifically in the areas of electromagnetic transducers and micro-actuators. USCIS approved an NIW petition for a Research Fellow working in the field of electrical engineering at a public state research university. The petitioner’s research focuses on energy harvesting systems. He is working to design and fabricate an energy harvesting system that can harness energy from ambient vibrating sources to generate enough power to run sensors for a Health and Usage Monitoring System, with the goal being to harvest and store relatively high electrical power from hostile environments to feed sensor nodes of HUMS. The petitioner has also worked in the areas of micro electro mechanical systems (MEMS), magnetic and acoustic MEMS, and electroacoustic transducers, micro sensors, and micro actuators. This research has resulted in the elaboration of Hi-Fi microspeakers with minimal sound distortions, high bass rendering, and high electroacoustic efficiency. Chemical engineering in the area of combustion science. The USCIS approved an NIW petition for a chemical engineer performing research in the area of combustion science. The petition highlighted the petitioner’s research on the design of technologies which allow joining dissimilar materials. He is an expert on applying high temperature rapid reactive combustion technologies to join ceramics to metal-alloys. His work mainly focuses on designing robust distributed control systems for multi-agent systems such as a swarm of satellites or robots. He has developed novel joining schemes for a variety of materials bonding, which can be utilized in the military as well as the aerospace industry. He has contributed to the development of a number of novel and efficient methods for low-cost production of nanomaterials, which can be utilized in photovoltaics for clean energy applications. Mechanical engineering, specifically in the area of injury biomechanics. The USCIS approved an NIW petition for a Postdoctoral Fellow working in the bioengineering department at one of the world’s leading research universities. The petitioner’s research focuses on resistance to traumatic brain injury. The petitioner’s research on material characterization of brain tissue and finite element modeling, validated by experimental results, directly advances researchers’ understanding of such injuries. He developed a shock tube system in the lab in order to experimentally simulate blast-induced injury scenarios and to study the propagation of waves in biological tissues. He has also advanced research related to the issue of traumatic rupture of the aorta, which is one of the major causes of vehicle related mortality, by designing a novel dynamic bending setup that utilizes a rigid indenter to deform a pressurized aorta mounted on a linear acceleration track. This setup is capable of replicating the loading conditions experienced in car accidents with the advantage of repeatability and data collection. Mechanical engineering in the area of fluid computations. The USCIS approved an NIW petition for a Research Assistant Professor working in the computational hydraulics lab at a renowned private research university. The NIW petition focused on the petitioner’s contributions to the fields of civil and mechanical engineering, especially in the areas of fluid computations, hurricane storm surge modeling, and coastal wave and circulation modeling. His research directly relates to the development of highly accurate and efficient computational models used to evaluate or forecast the risk and consequences of hurricane-induced inundation and damage. His research at the university focuses on computational fluid mechanics and specifically, he is pursuing the development, verification and validation of a new generation of enormously innovative and powerful algorithms. During his research at the university, the petitioner has developed a novel computer code that implements this technique and has become a powerful tool employed in the Center for Shock Wave-Processing of Advanced Reactive Materials (CSWARM) for predicting shock conditions under which new materials can be synthesized. Chemistry and chemical engineering, physics, electrical engineering, materials science, optics and mechanics as they relate to the development of soft lithography techniques and organic materials for molecular electronics. USCIS approved a petition for a multi-disciplinary scientist who works in the field of semiconductors and flexible electronics. This scientist’s research focuses on semi-conducting materials for flexible ‘macroelectronic’ circuits, the development of soft lithography techniques, and organic materials for molecular electronics. This research is particularly vital to the U.S. semiconductor and nanotechnology industries. The NIW petition showed that the work has led to the development of a new manufacturing technology which has recently been selected by the Wall Street Journal as the best semiconductor technology of the year in 2006. This research has important potential applications that range from sensors and drive electronics for integration into artificial muscles or biological tissues, to structural health monitors wrapped around aircraft wings, to stretchable electronic skins as parts of inflatable habitats for manned space exploration, and other devices that would be difficult or impossible to achieve with conventional forms of electronics. Chemical engineering related to the detection and analysis of toxic compounds and explosives in the air for homeland security. USCIS approved a petition for a postdoctoral research associate working in the field of chemical engineering and specifically in the area of micro gas chromatography involving the detection and analysis of trace amounts of toxic compounds and explosives in the air for homeland security. This researcher has developed preconcentrators for micro-gas analyzers to be used to better detect chemical warfare agents and potential explosives. The NIW petition showed that this researcher’s work targets fundamental questions in the syntheses and applications of metal-organic framework materials (MOFs). MOFs are a new class of nanoporous functional materials that have been proposed for adsorbents in Chemical Warfare Agents (CWAs) detection, catalysis, hydrogen storage in automobiles, and other important applications related to the national interest such as environmental (agro- and industrial chemicals) testing, and chemical and biomedical applications. Due to the increased detection capabilities of these preconcentrators, this research will benefit the U.S. military, homeland security and the health of ordinary U.S. citizens. Materials science engineering related to the physics of electronic materials. USCIS approved a petition for a postdoctoral research associate working in the area of materials science engineering, with an emphasis on the physics of electronic materials such as phase change materials. This researcher analyzes the physical and chemical properties of materials utilizing optical, electrical, and surface techniques, and electron microscopy techniques. The NIW petition emphasized the important applications of this research in the development of data storage technology and the next-generation non-volatile memories that would replace flash memories used in cellular phones, digital cameras and many other applications. Computational prediction and design of alloys. USCIS approved a National Interest Waiver for a computational materials science researcher. The researcher, who specializes in the areas of materials design and computational prediction and design of alloy and materials properties for technology, has a Ph.D. in Physics and an M.S. in General and Applied Physics. The beneficiary’s research in computational prediction and design of alloy and materials (including those for high-capacity hydrogen storage) is invaluable to the development of electronics, aerospace and defense. The evidence submitted documented that the beneficiary’s research would benefit the U.S. economy by advancing technology in the microelectronics and aerospace industries and reducing our reliance on fossil fuels. The beneficiary’s I-140 petition was approved in 93 days. High-tech structural ceramics and ceramic composite processing. USCIS approved a petition for a materials science researcher working in the field of high-tech structural ceramics has important applications in the aerospace, automotive, industrial (including oxide fuel cells) and bio-medical industries. The NIW petition showed that the beneficiary developed two, three and mixed-layer fibrous monolithic composites resulting in significantly improved properties of the composites. Currently this scientist is undertaking research that is very likely to advance the field of high-tech structural ceramics and ceramic composite processing, including oxide ceramic multi-component composites and nano materials synthesis, powder processing and coating techniques in the United States. This research will improve existing products and create new products with increased manufacturing efficiency and competitiveness. Materials science related to drinking water distribution systems and the role of iron corrosion scales in the iron release process. USCIS approved a petition for a Postdoctoral Research Associate working in the field of field of materials science and engineering and specifically in the area of environmental science and technology. The beneficiary concluded an important study in drinking water distribution systems and the role of iron corrosion scales in the iron release process. The NIW petition recognized his scientific interest in research for changing water quality to develop meaningful and cost-effective solutions to iron release and colored water problems. The beneficiary’s I-140 petition was approved in 144 days. Material science engineering, specifically, computational materials science and thermodynamic modeling. USCIS approved a National Interest Waiver petition for a postdoctoral researcher working in the field of material science engineering. Petitioner is currently focusing his research on atomistic calculations of transport properties under conditions similar to irradiation. His research is breaking new ground in the understanding the microstructural evolutions of materials in aggressive environments such as nuclear energy. His work is answering the need for innovative energy resources that are both environmentally safe and economically viable. The NIW petition focuses on petitioner’s research work that willwill advance nuclear energy technology. The growth of this technology is important to both the United States and other nations from around the world in the urgency to meet future energy needs while reducing atmospheric pollutants. Materials science and engineering specifically related to green building and construction materials. Petitioner works in the highly complex and sophisticated field of materials science and engineering and specifically in the area photo catalyst and material characterization as it relates to the semiconductor and ceramic. A key component of petitioner’s work involves working on energy-efficient Low Temperature Sintering (LTS) technology for manufacturing green building and construction materials. This new technology features 93% lower energy consumption and carbon-negative nature (CO2 sequestration instead of Co2 emission) compared with the current, conventional cement production process. The beneficiary’s NIW petition was approved in 24 days. Materials science and engineering, specifically related to the synthesis, characterization, and applications of nanomaterials. The petitioner works in the field of materials science and engineering. His research targets important and fundamental questions in the field of magnetic materials. One of them concerns the application of soft-magnetic thin films in data storage magnetic recording media such as hard disk drives (HDDs) which are utilized as data storage devices in personal computers and video recorders. Soft magnetic thin films (i.e. CoNiFeB) are used as the core material of high-density recording heads. In addition, the petitioner has established a method for large synthesis of magnetic nanoparticles encapsulated FeCo nanoparticles which have promising medical applications in imagining and tumor therapy. The importance of his work has been recognized by several leading experts in the field of materials science and engineering. Metallurgy and materials science, specifically in the area of failure analysis. USCIS approved an NIW petition for a Postdoctoral Research Assistant working in the areas of metallurgy and materials science at a public state research university. The petition highlighted the petitioner’s research in the areas of failure analysis and corrosion failure analysis. His work contributes to improving corrosion and materials properties and the metallurgical processes of future parts. Additionally, the petitioner has researched ZnO nanowires as they apply to solar cell energy. He is also involved in a fundamental study of high temperature naphthenic acid corrosion. His specific research also involves employing alternate advanced characterization techniques and developing advanced methods for analysis of high temperature naphthenic acid corrosion. Civil and environmental engineer studying the surface mass balance estimation of the Greenland ice sheet. For over a decade, the petitioner has been engaged in research in the area of hydrology and water resources engineering. Despite broad skills and experience, his primary research interests are in remote sensing of the environment (precipitation, snow, soil moisture, and vegetation), land surface modeling, data assimilation, and land-atmosphere interactions. Much of his research focuses on advancing satellite-based land data assimilation techniques, land surface modeling, and remote sensing, which are invaluable both nationally and globally for weather forecasting and climate predictions, as well as for predicting sea level rise, global warming and climate change. The petitioner’s research accomplishments have included developing new techniques and algorithms to estimate hydrological products such as surface heat fluxes, vegetation dynamics, snow water equivalent (SWE), soil freeze-thaw state, and Greenland ice sheet melt rate from satellite data. The NIW petition acknowledged the importance and relevance of the petitioner’s current research: his projects on land surface remote sensing are funded by numerous federal agencies. Has been engaged in research in the area of computer engineering. USCIS approved a petition for a Postdoctoral Researcher whose research focuses on the advancement and development of skills in the area of computer vision and its application in medical imaging. This work is vital because it enables scientists to make extensive use of medical imaging data to provide us better diagnosis, treatment and predication of diseases. USCIS approved a petition for a Postdoctoral Researcher Associate whose research focuses on the design of advanced building energy and urban scale modeling methodologies. This work is vital because it enables the design of high performance and energy efficient buildings in the United States, leading to healthier and less energy-dependent built environments. Has been engaged in research in the area of aeromechanic and aerospace engineering. USCIS approved a petition for a Postdoctoral Fellow who has developed combustion research for conventional alternative fuels. Her research on hydrocarbon fuel combustion will have a prominent impact on the aforementioned technological problems. Has been engaged in research in the area of electrical engineering. USCIS approved a petition for a Graduate Assistant whose primary research interests are in advanced optical communications technology. He created a model of all-optical relaying FSO system taking into account the effects of amplified spontaneous emission noise (ASE) noise and optical degree-of-freedom (DoF). This work is a critical for novel and useful ideas that will serve the national economic and military defense interests of the United States. Has been engaged in research in the area of mechanical engineering. USCIS approved a petition for Technical Specialist whose research interests are in the field of computational fluid dynamics and heat transfer, particularly in the area of erosion analysis, onshore gas dispersion analysis, and subsea gas dispersion analysis. Work has been particularly focused in modeling and simulation of micro- and nano-systems. This work is vital because it addresses the demands of the energy sector. Has been engaged in research in the area of petroleum engineering research. USCIS approved a petition for a Lecturer whose research focuses on the advancement and development of skills in the area of nearwellbore formation treatments by gel particles as they pertain to the lost circulation of drilling fluid and water production in hydrocarbon producing wells. This work is vital because it enables the study of ways to prevent extremely detrimental problems that face the oil industry. Groundbreaking work, the traditional brachytherapy needle was used to the target points in patient prostate. USCIS approved a petition for a Mechanical Engineer whose research focuses on creating smart actuators made out of Nitinol alloys for steering the surgical needle through desired trajectory in target tissues This work is vital because it enables the advancement of creating active surgical needle for prostate brachytherapy procedure, which is a form of radiation therapy used to treat prostate cancer. His contribution in this area has been critically important to the biomedical device industry. Work has resulted in improving existing knowledge of the mechanical behavior of St. Peter Sandstone. USCIS approved a petition for a Mining Engineer whose advancements in hydraulic fracturing have recently enabled industry workers and researchers to safely recover natural gas and oil from deep shale formations. Research in mining and processing of raw materials is vital for U.S. society and industry needs as the U.S. has vast resources in metals, coal, and industrial minerals and is thus in need of sound fundamental technical and scientific knowledge in order to unearth the minerals economically and safely for further processing and human utilization. Has been engaged in research in the area of engineering and has made critical contributions in developing novel methods and materials in cardiovascular imaging. USCIS approved a petition for a Postdoctoral Fellow who has developed a novel method based on infrared spectroscopy to characterize cardiovascular pathologies. Her work is vital to the rising number of diabetic patients in the United States who need reliable vascular imaging methods. Has played a crucial role in inter-disciplinary research projects focusing on systems thinking, complex systems, and sustainability. USCIS approved a petition for an Industrial Engineer whose work on water sustainability has played a crucial role in healthcare and led to improvements in effective management of water resources in hospitals. She has developed a system dynamics model for hospitals that will help leaders in healthcare make crucial decisions regarding water sustainability in the hospital setting. Has been engaged in research in the area of mechanical engineering and active materials. USCIS approved a petition for a Research and Teaching Assistant whose primary research interests are in design, development and assessment of innovative medical devices. He has created a new type of surgical needle through his smart materials that seeks to remedy the previous limitations in this field. His work benefits the U.S. economy and improves health care by providing new age technology. USCIS approved a petition for an Assistant Professor whose work has developed higher level distributed controller design for small scale power systems. His research can be used to build fast efficient transient controllers for micro-grids during transients. This area has gained prominence recently because of the interest in integrating renewable generation at the distribution level. His work shows how the limited information available in each individual device optimizes the corresponding objectives during transients under game theoretic approach.